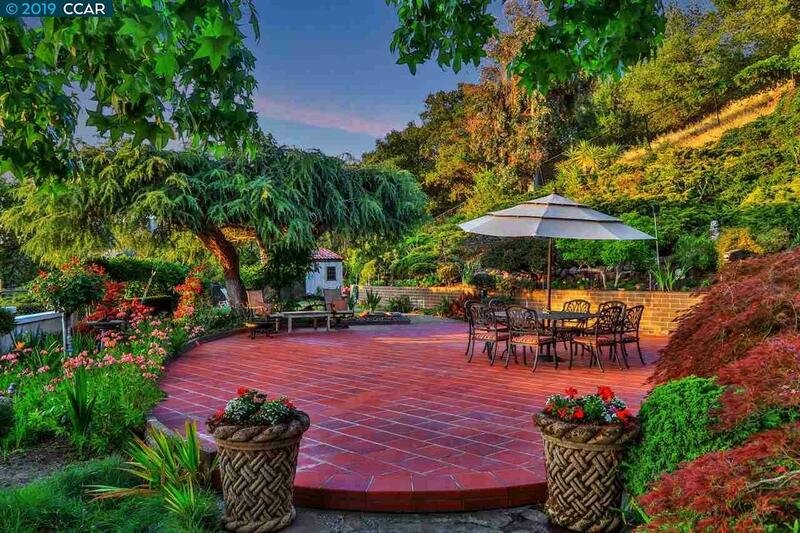 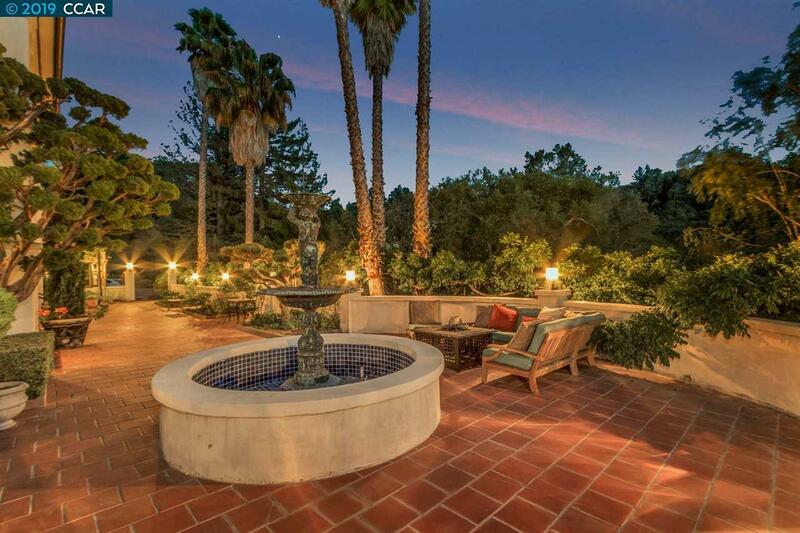 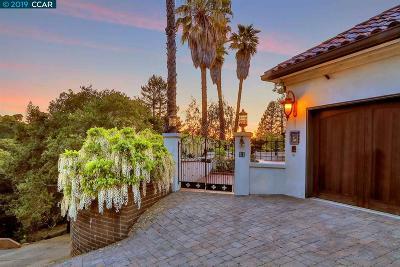 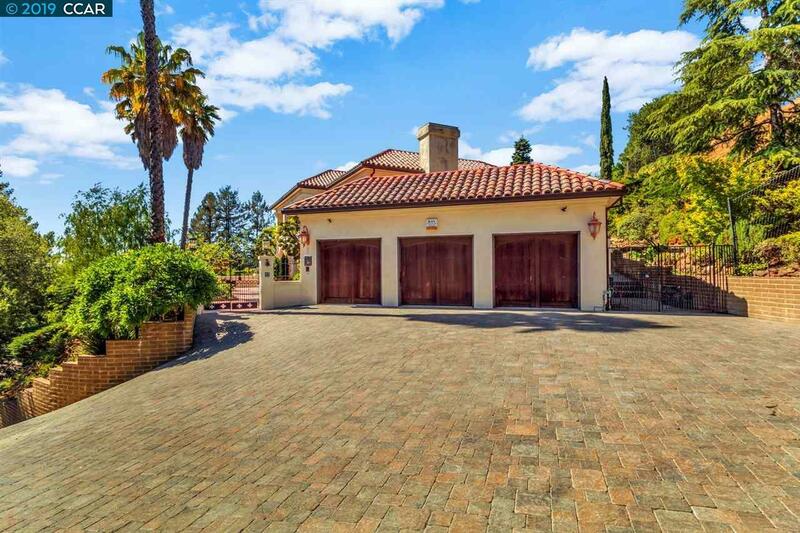 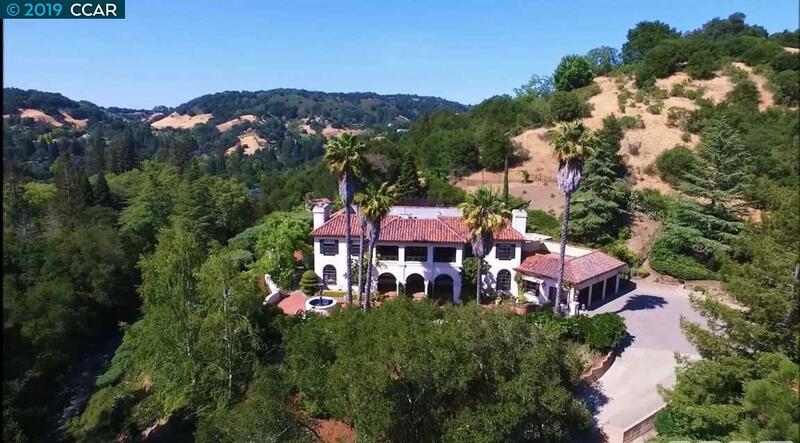 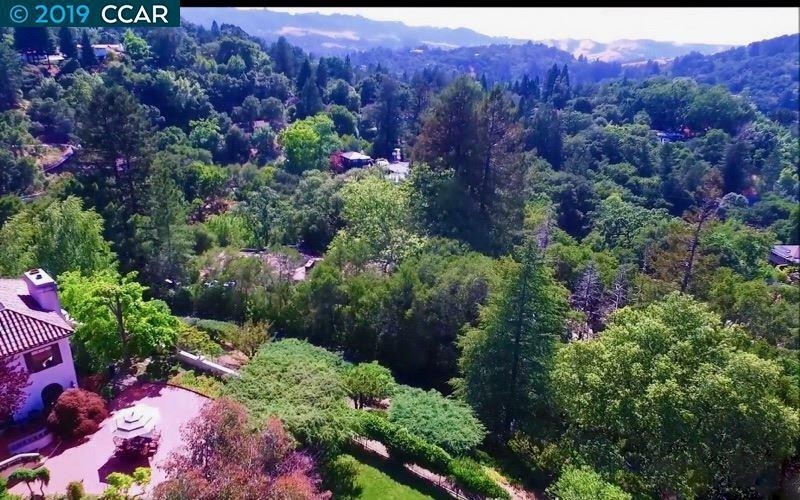 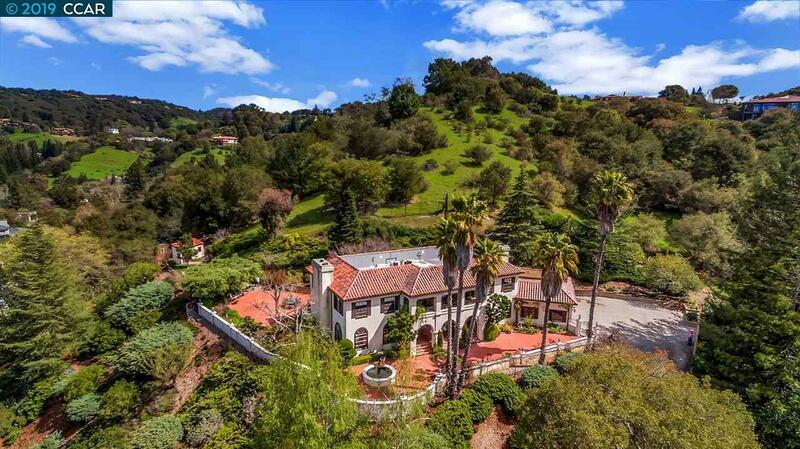 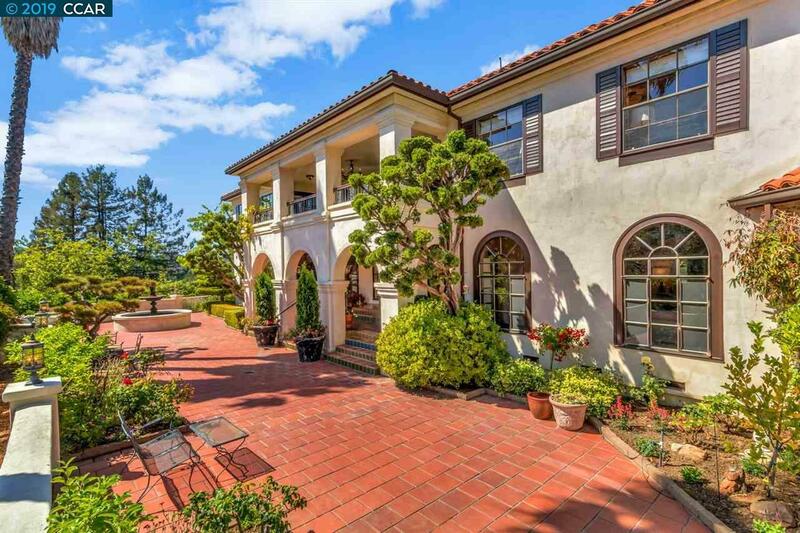 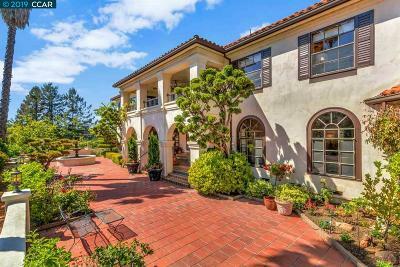 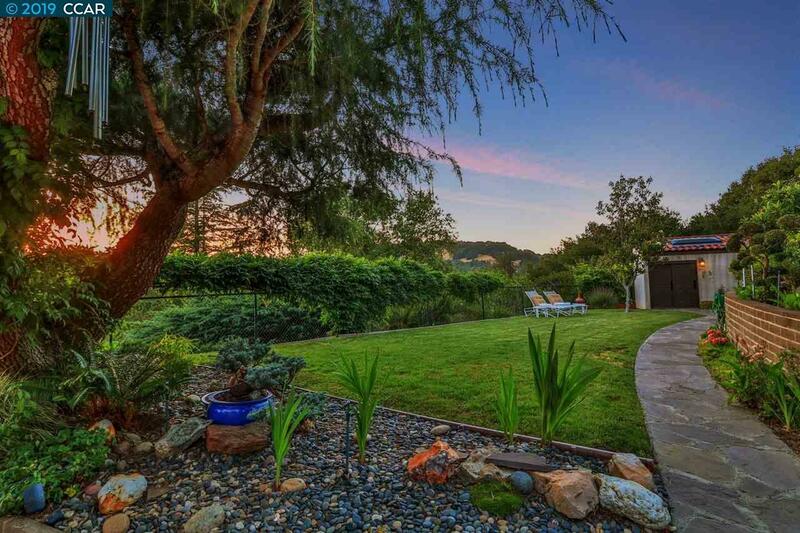 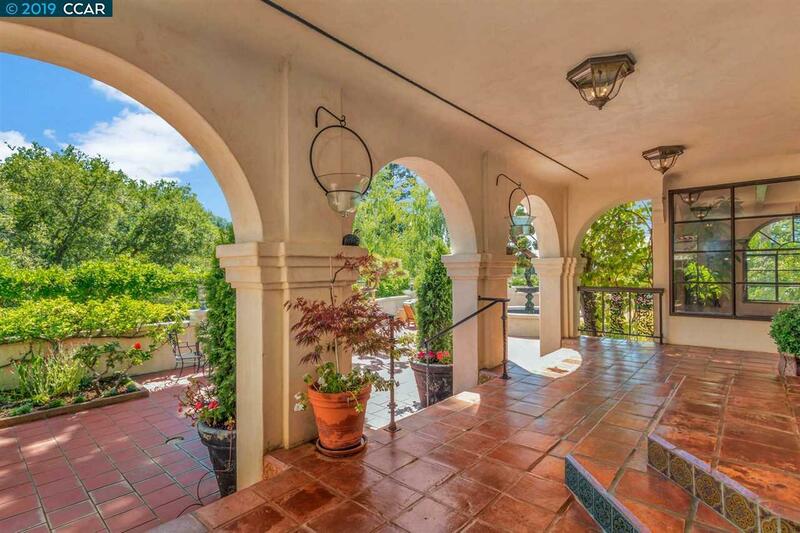 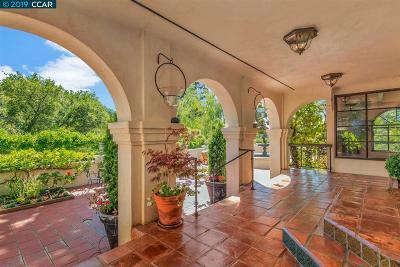 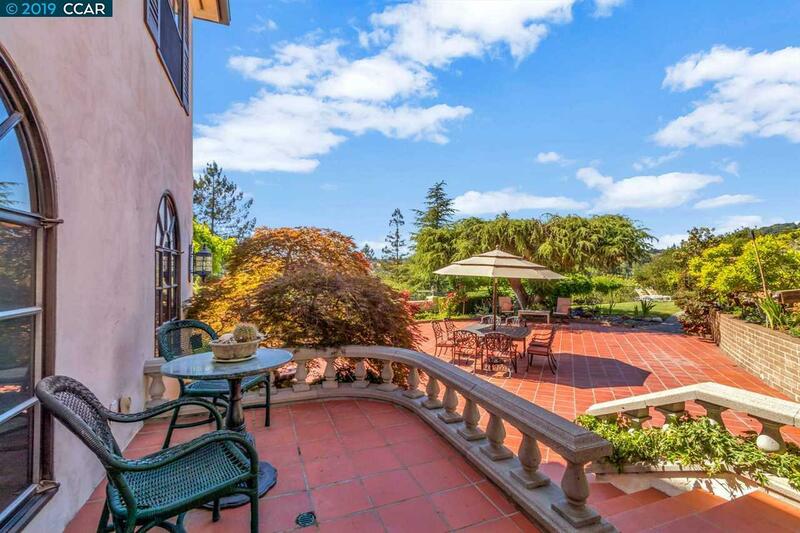 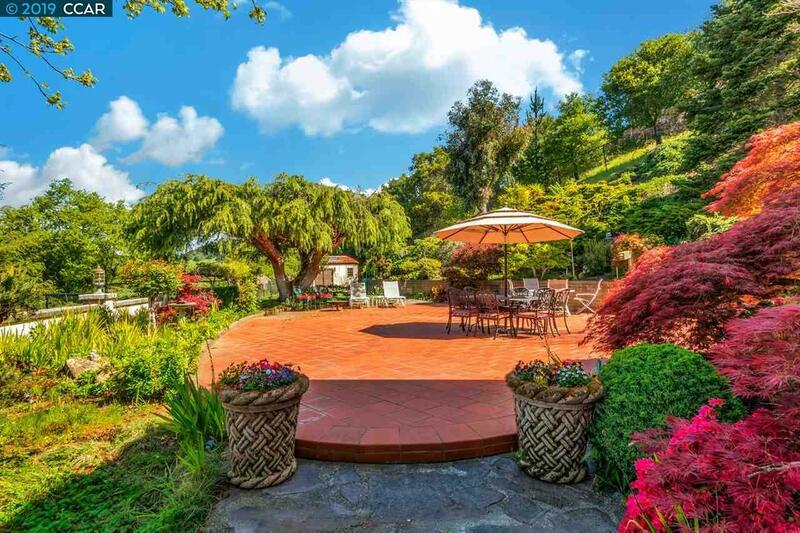 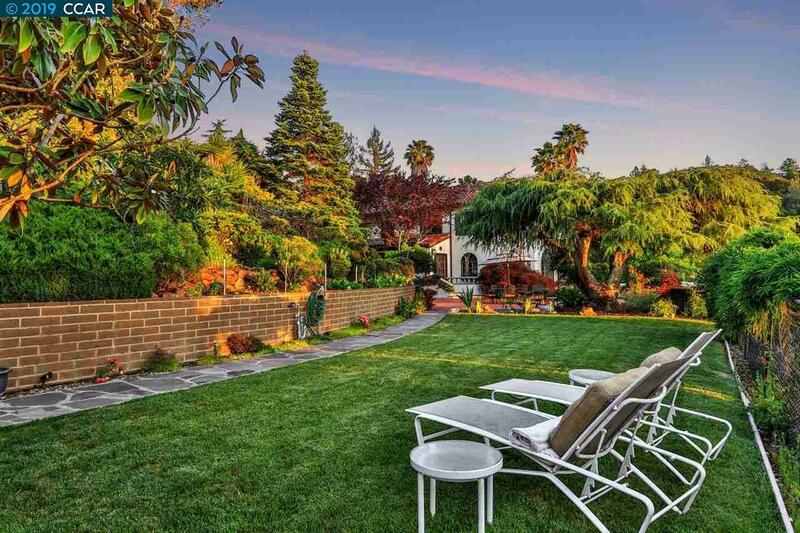 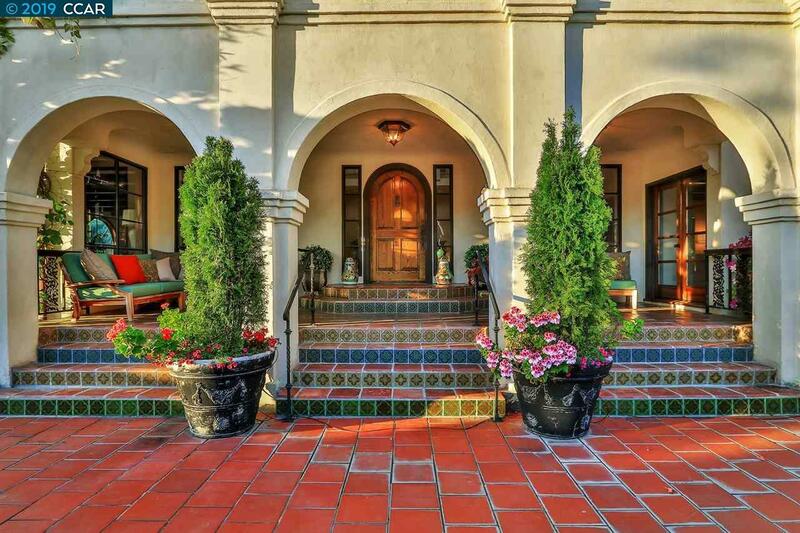 Open Sat & Sun 1-4 This Stunning Estate borders open space with panoramic views, extensive patios, beautiful formal gardens and level play areas all 20 miles from San Francisco! 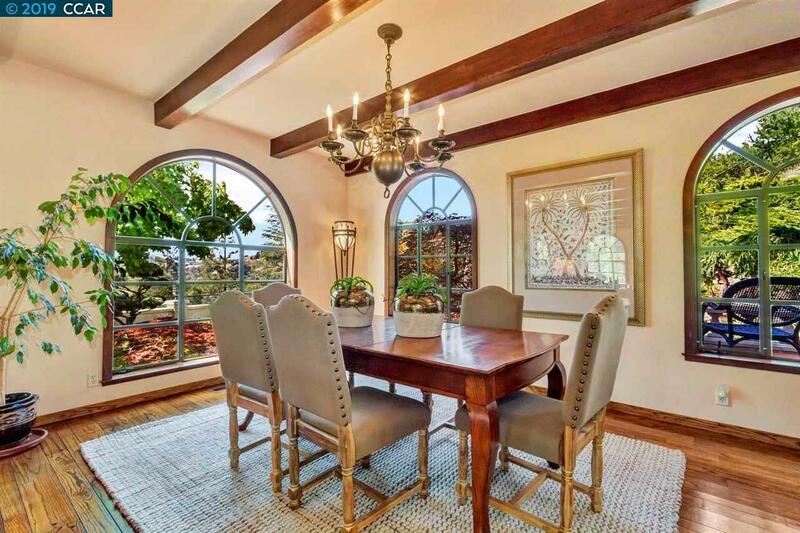 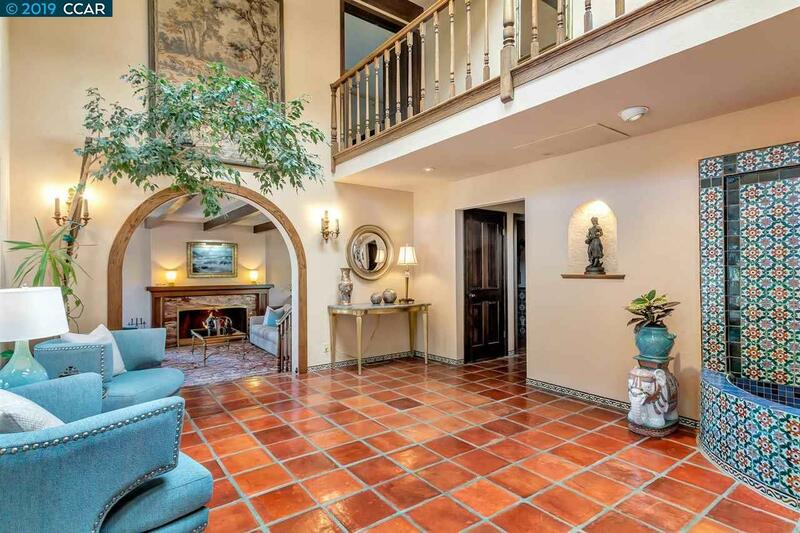 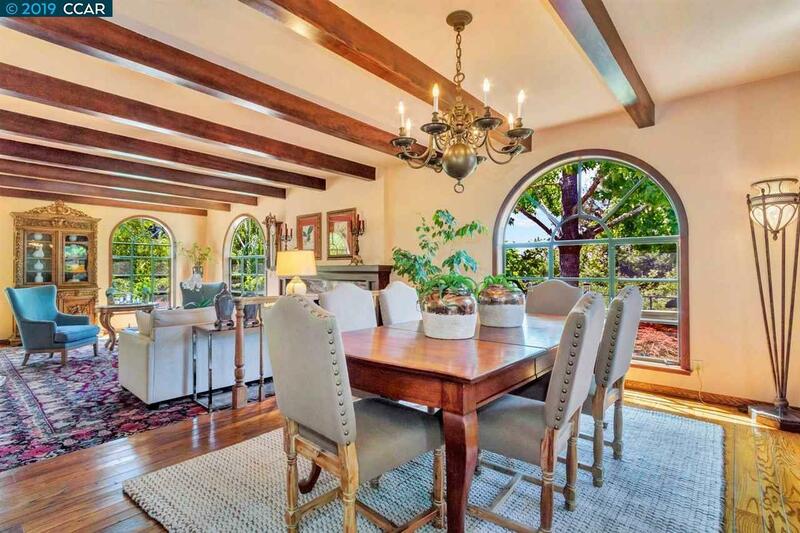 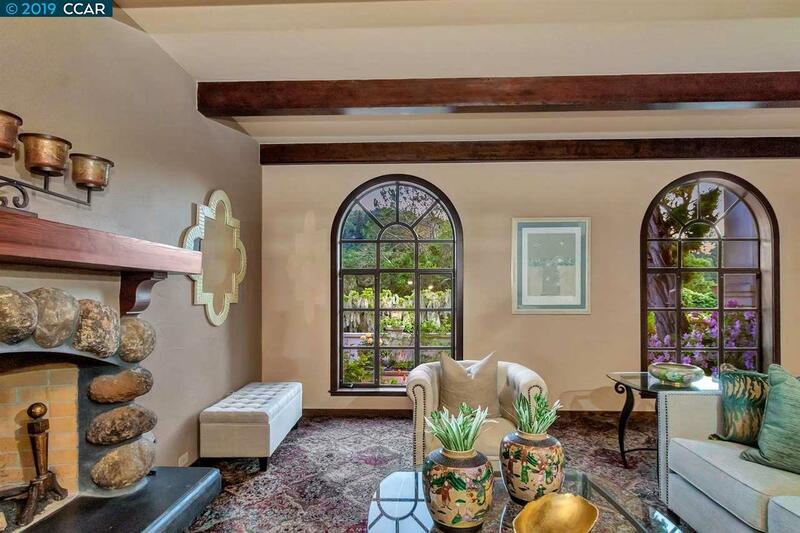 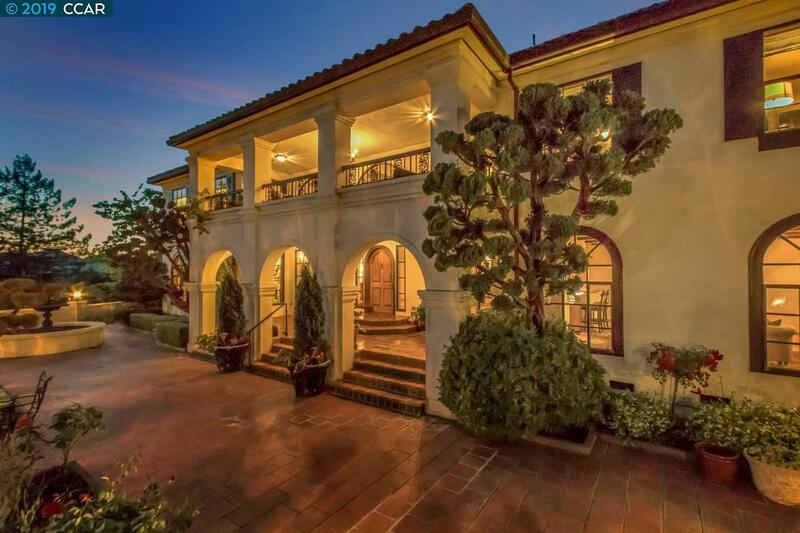 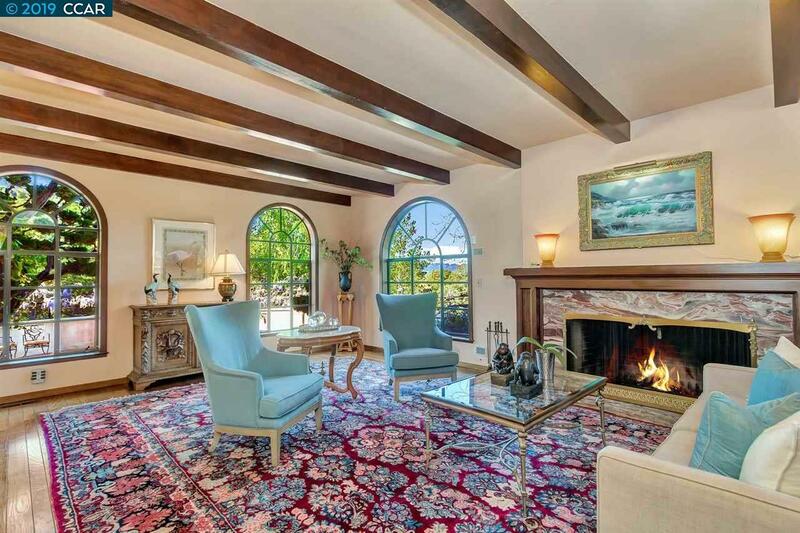 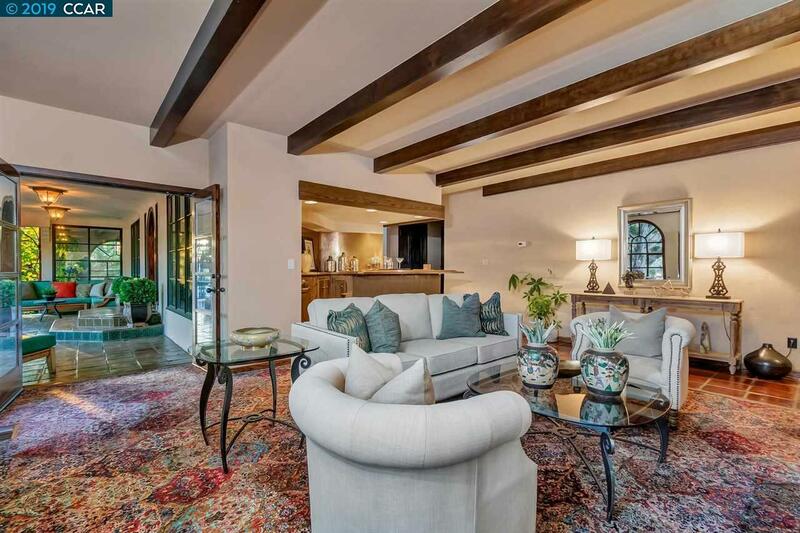 Designed and constructed in 1980 for the current homeowner to pay homage to the grace and beauty of a European Villa this residence was built to the highest standards and quality for the owner. 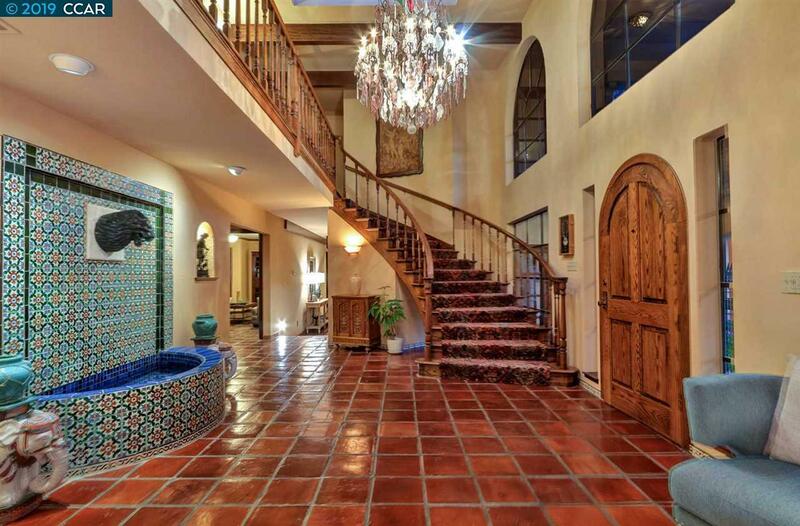 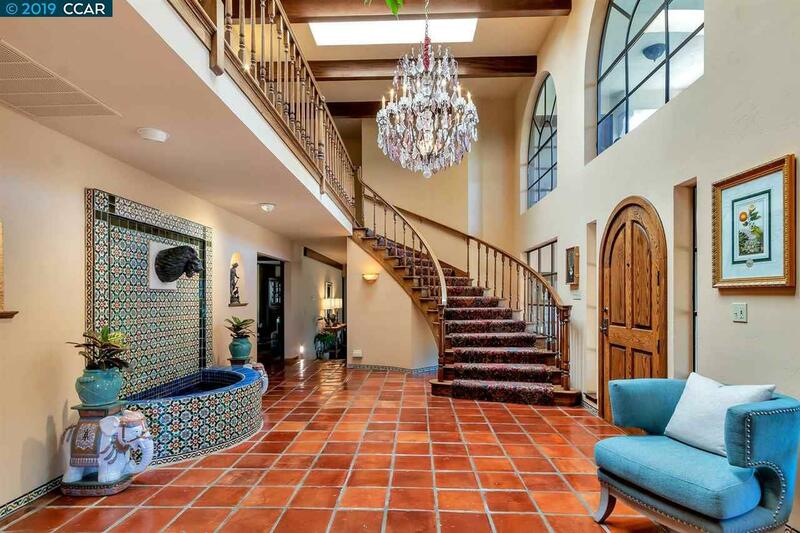 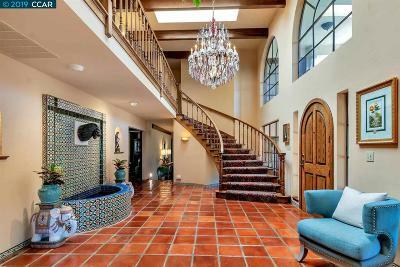 The dramatic great Hall entry is two stories and showcases the interior fountain and leads to all the entertaining areas. 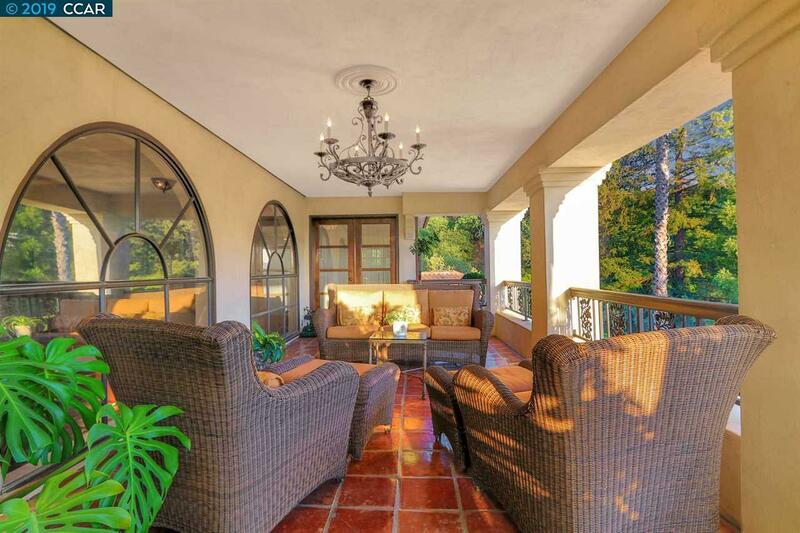 The interior rooms flow to two covered and one uncovered Veranda to enjoy views and the afternoon breezes. 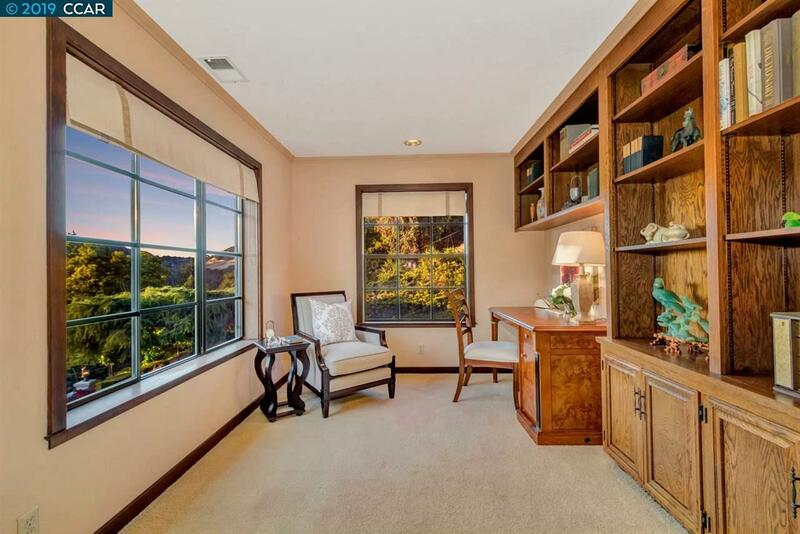 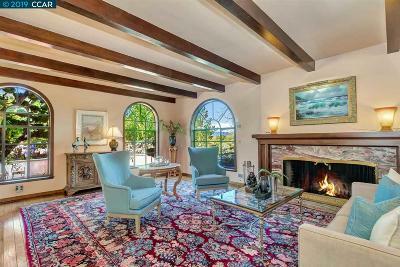 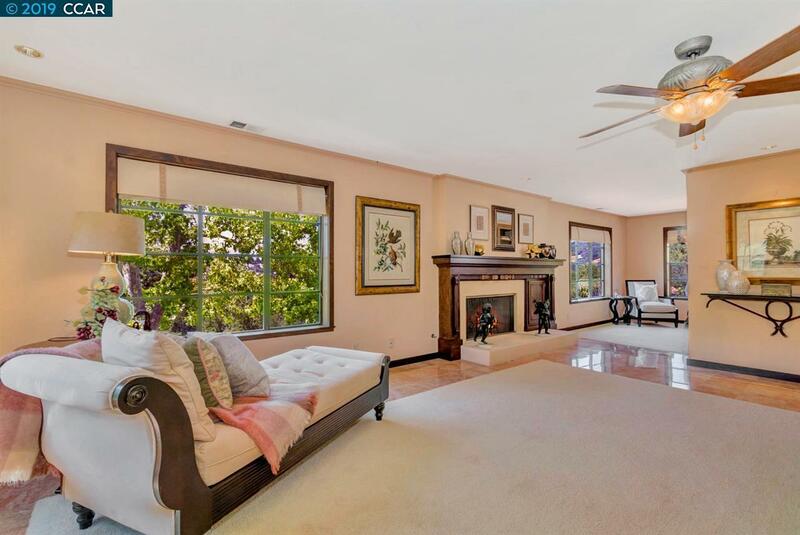 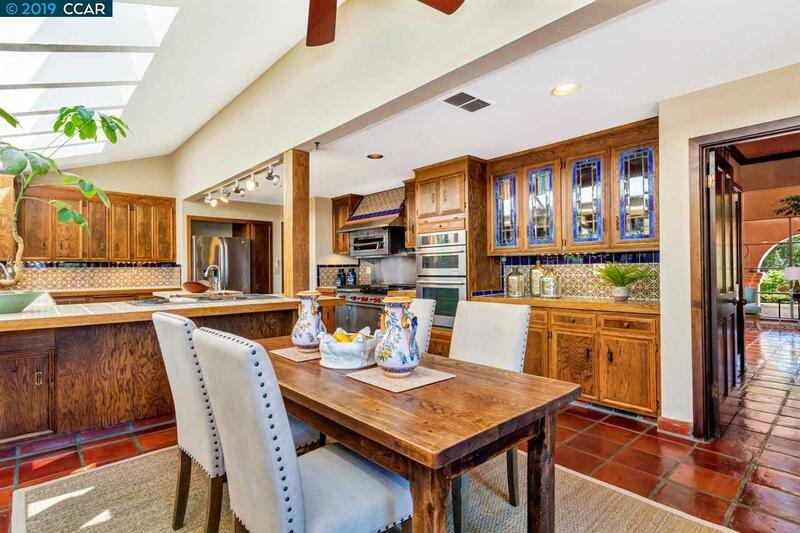 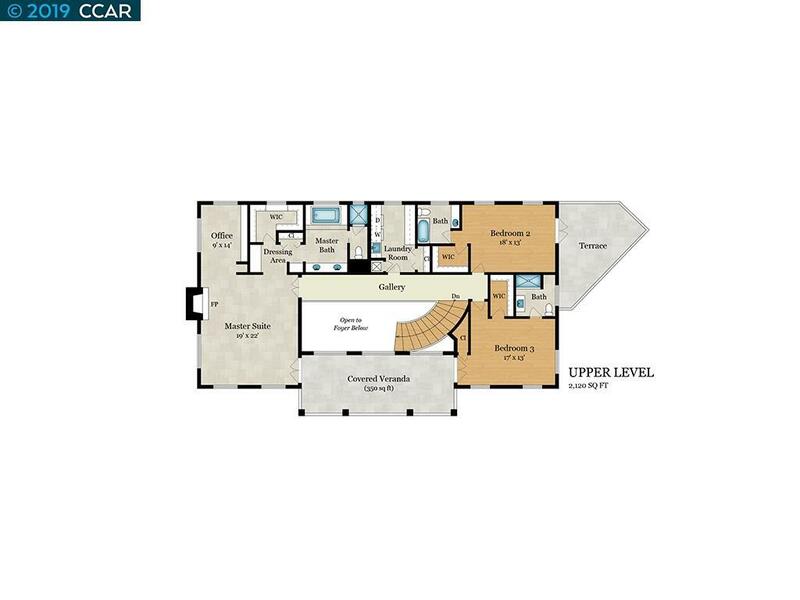 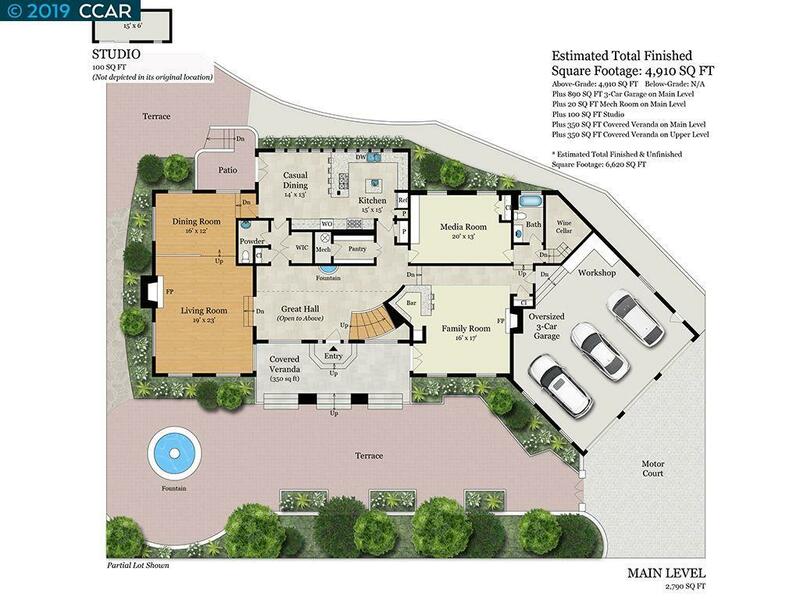 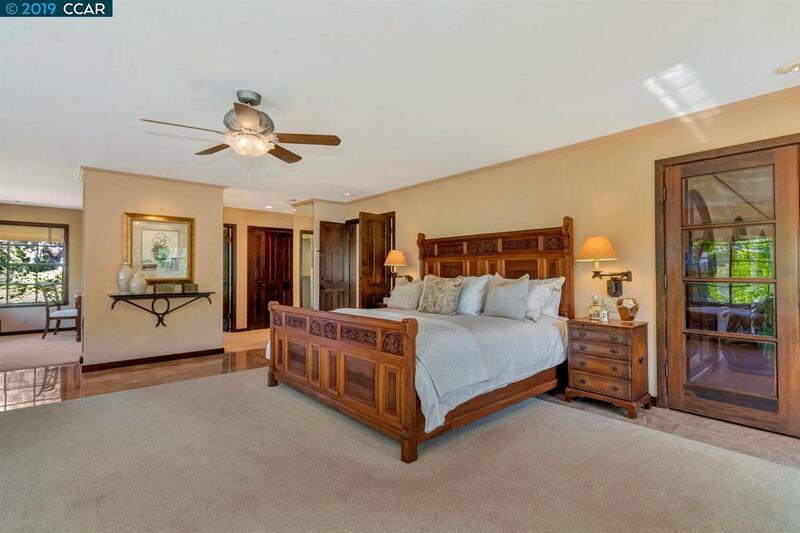 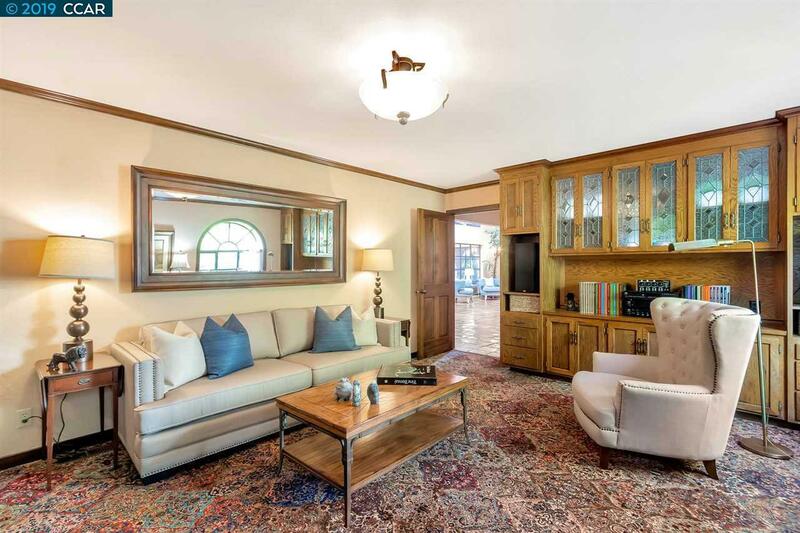 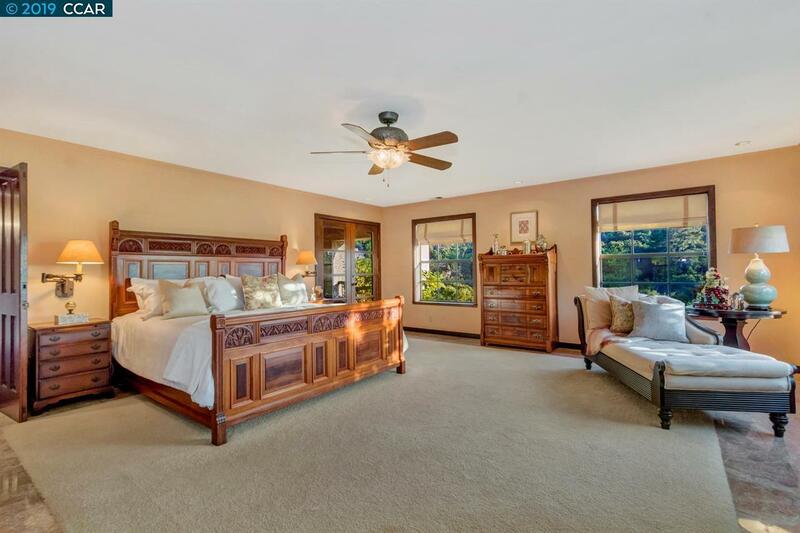 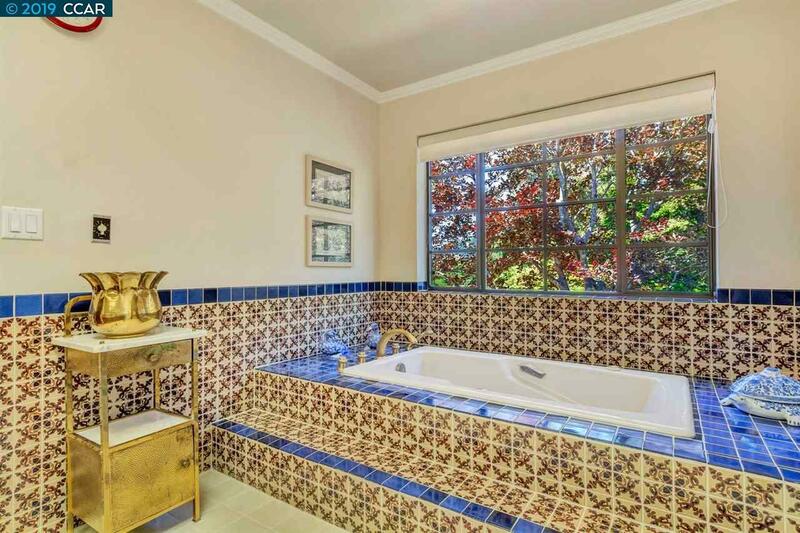 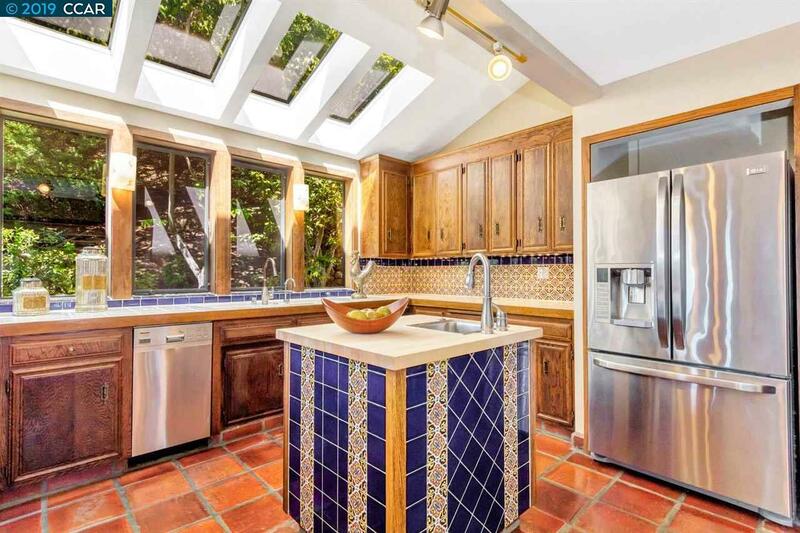 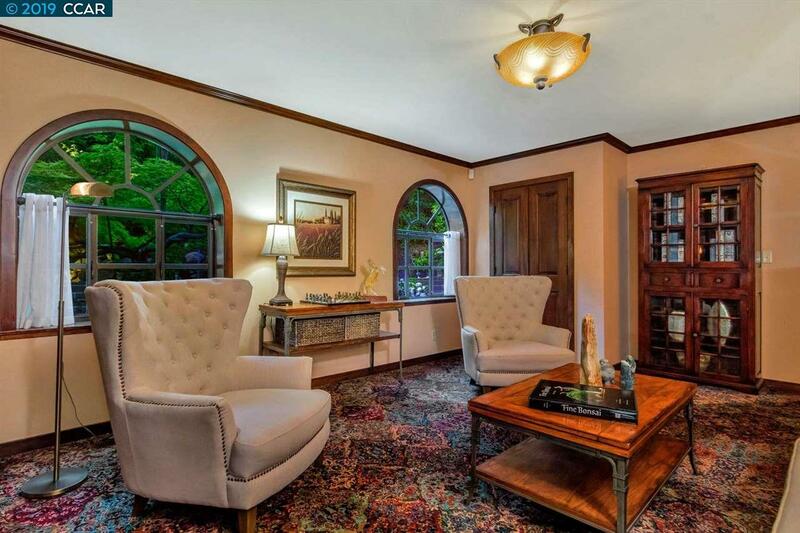 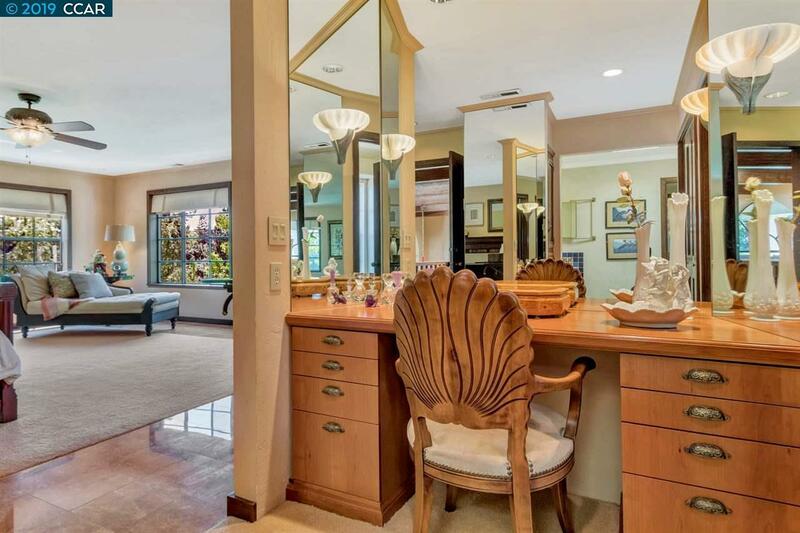 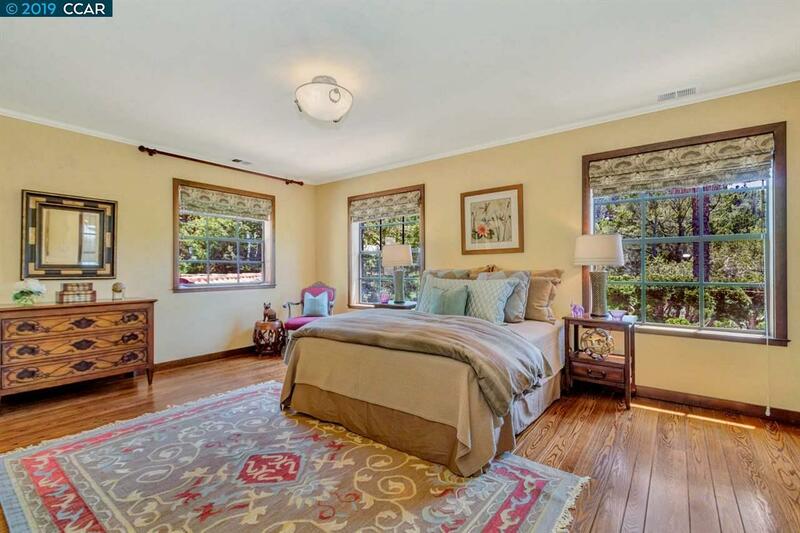 All four bedrooms in the home are en suite with a gracious master retreat complete with office, and dressing area. 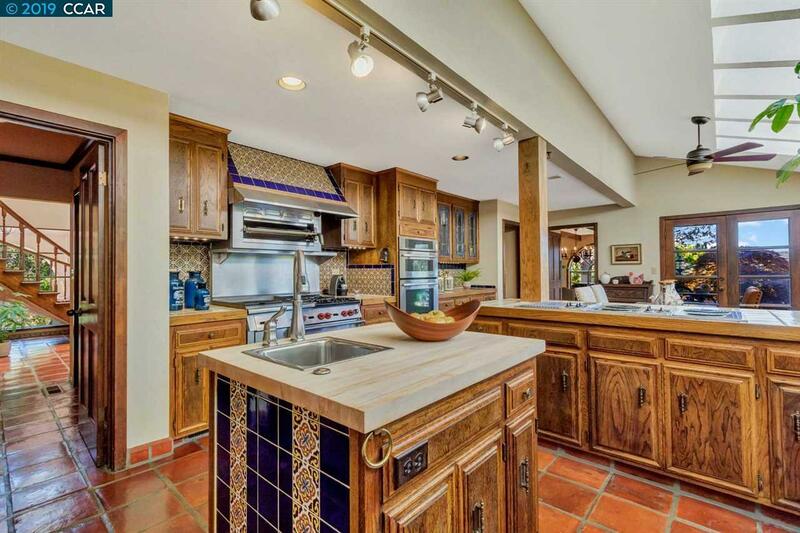 The Chefs kitchen includes a casual dining area, large pantry and a free standing commercial Wolf range with grill and upper oven as well as an electric range. 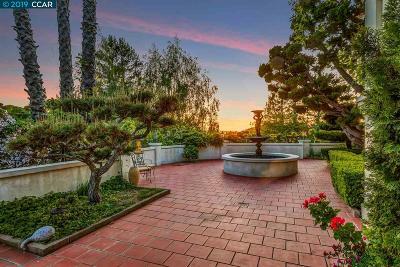 The exterior gardens and patios are simply elegant with mature landscaping, wisteria covered stucco walls, and a lush lawn.